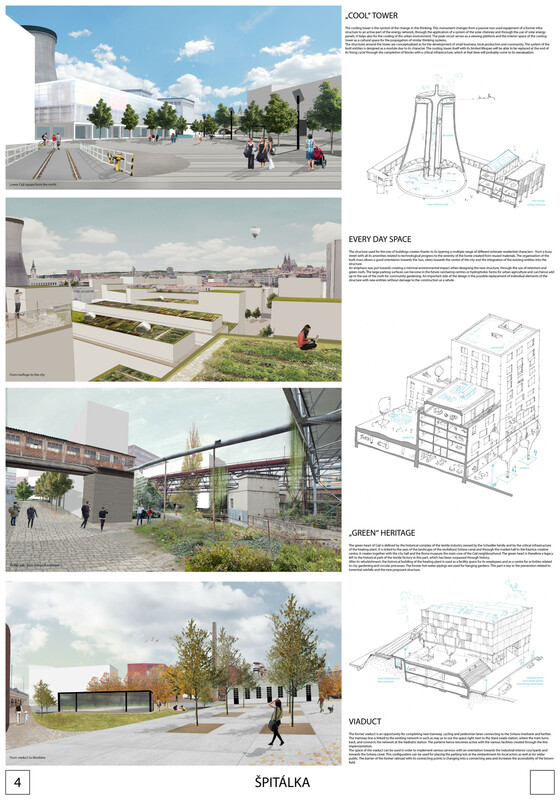 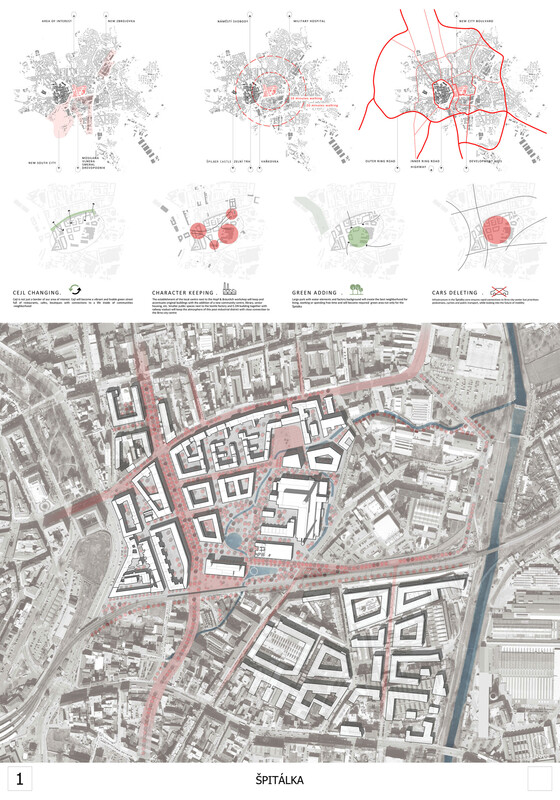 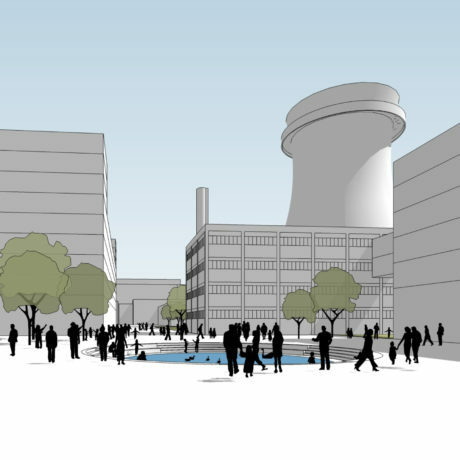 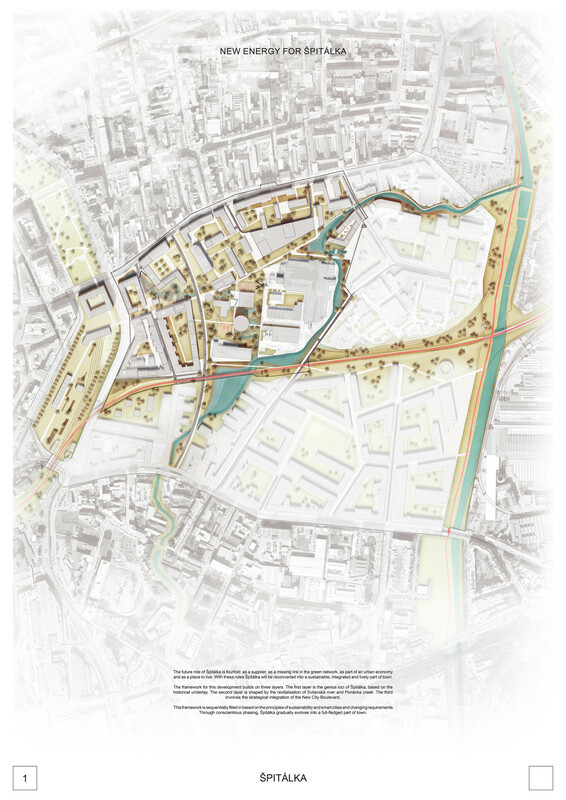 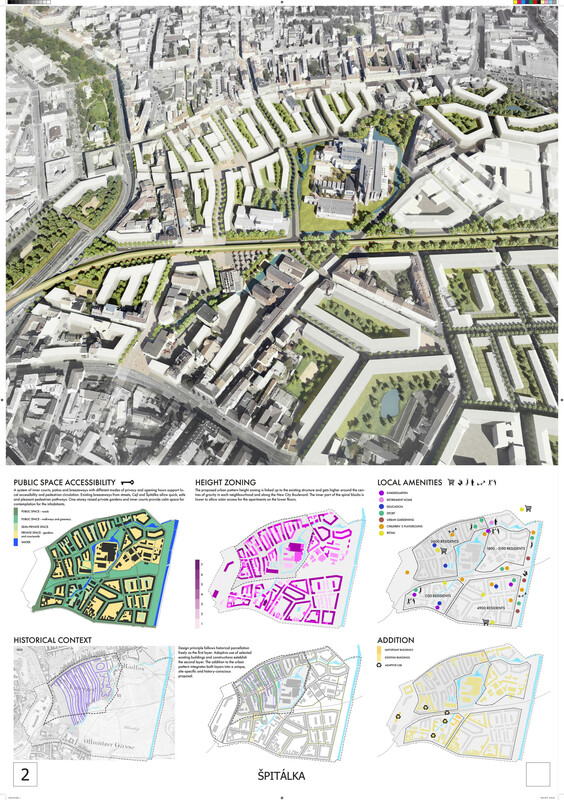 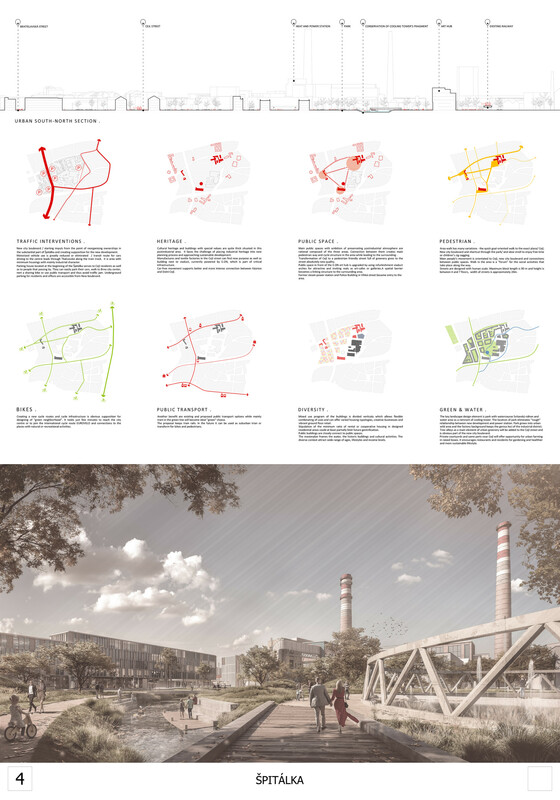 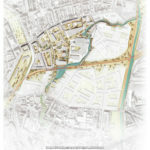 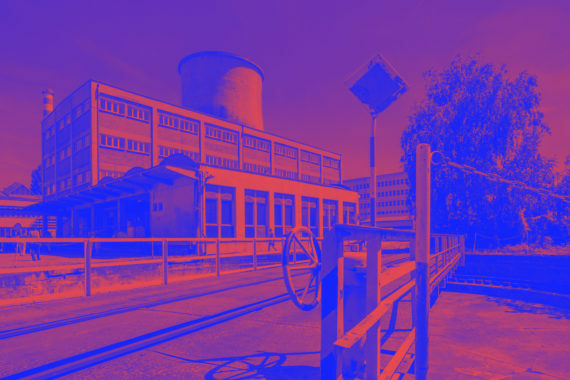 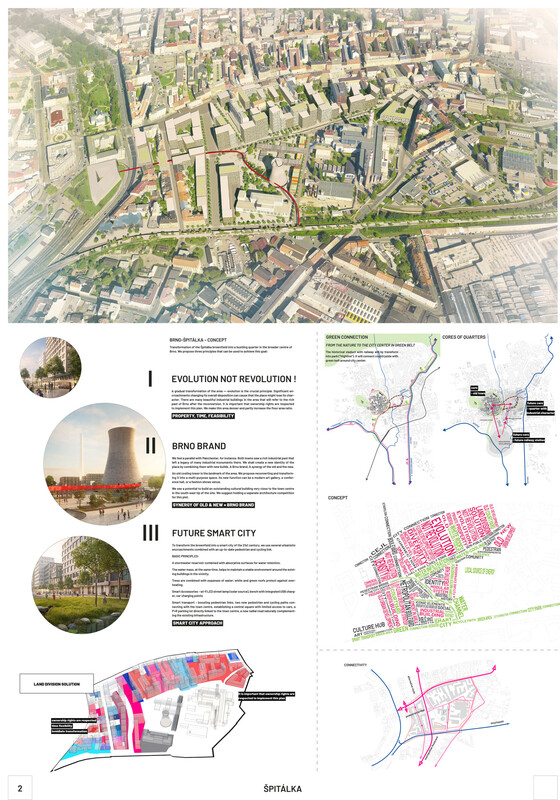 The subject of competition was an urban idea proposal of location Špitálka in Brno – Zábrdovice. 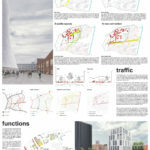 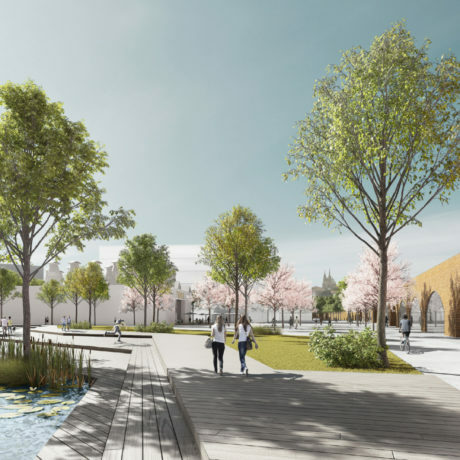 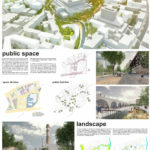 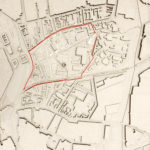 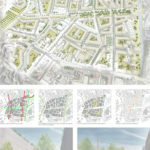 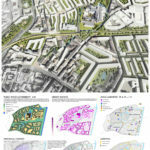 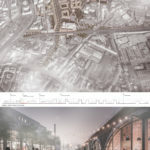 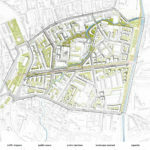 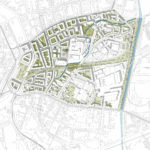 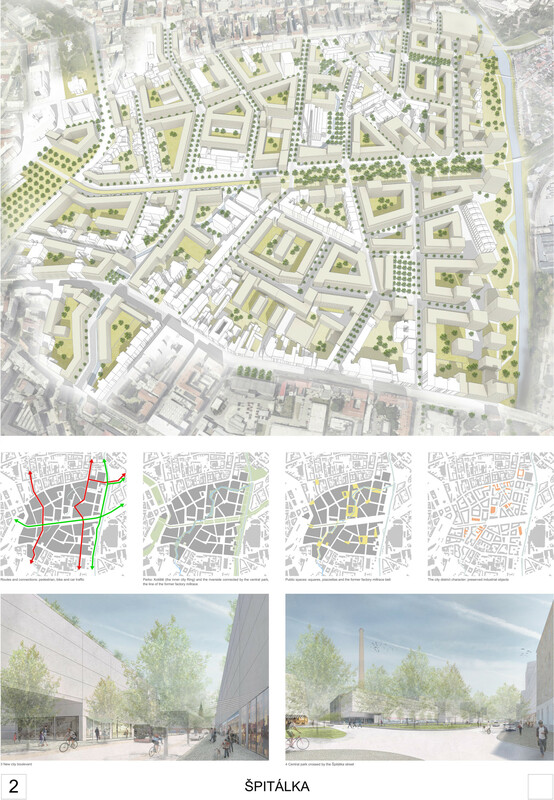 The proposal in the range of urban study, which determines the range, form and functional use of the site including links to the surrounding, was processed to the whole area of interest according to the competition brief. 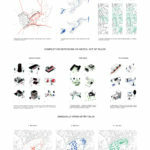 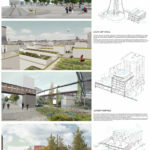 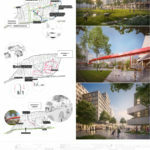 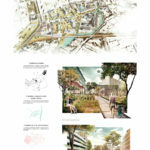 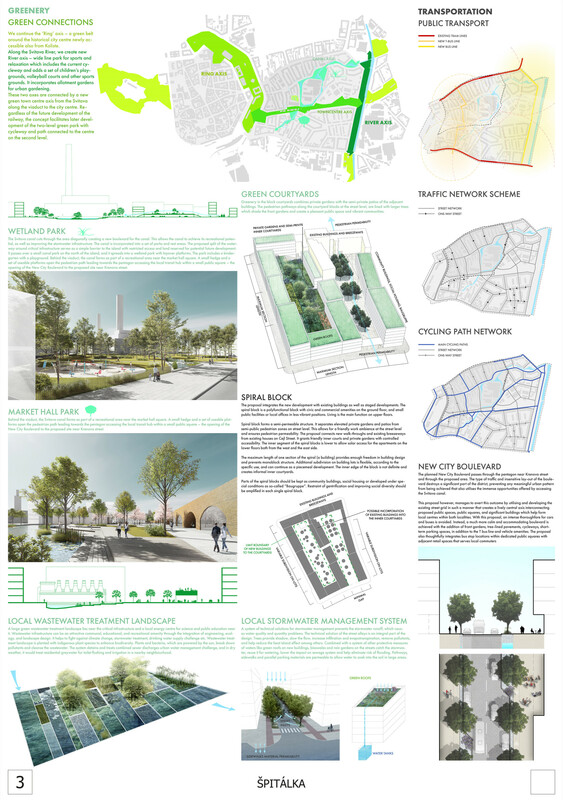 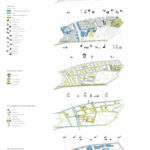 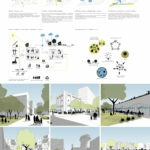 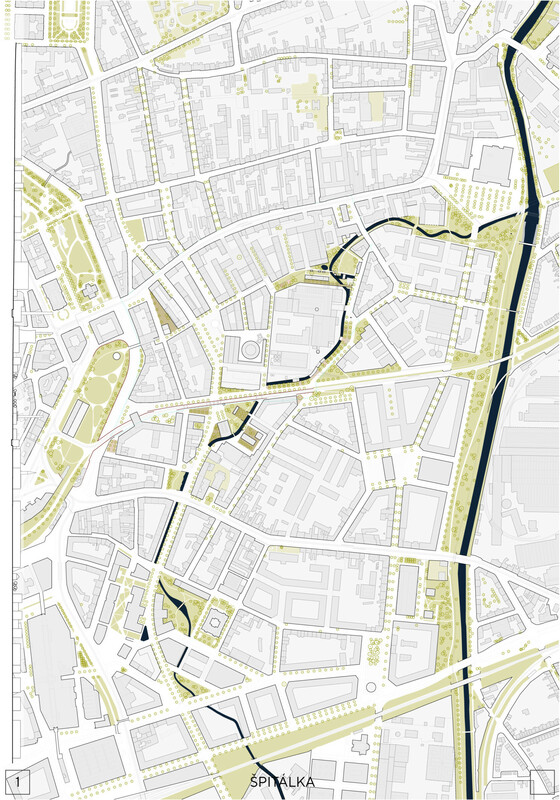 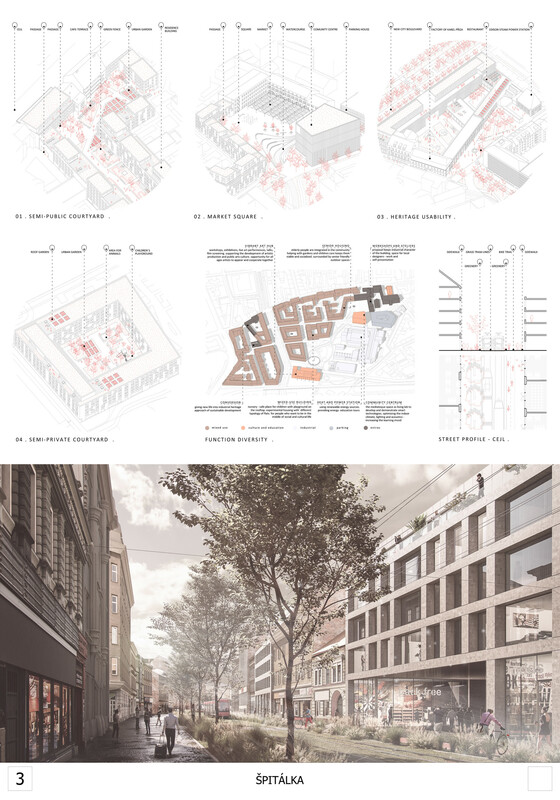 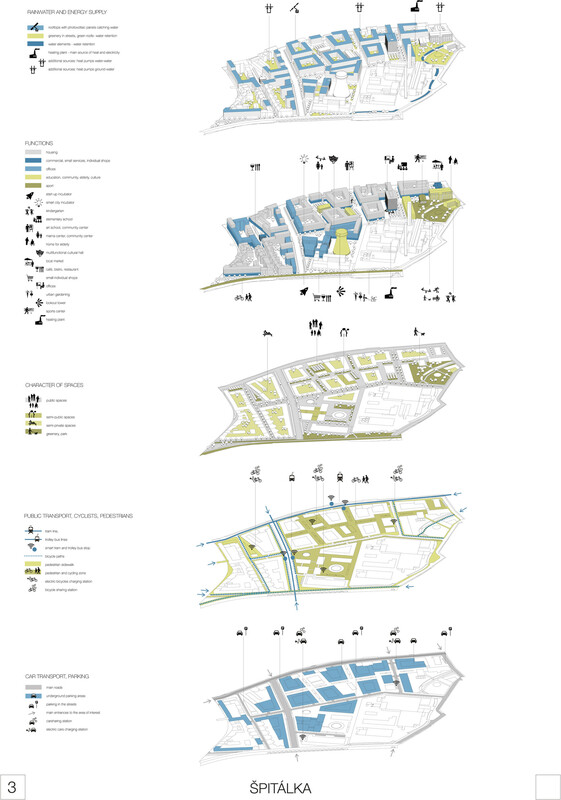 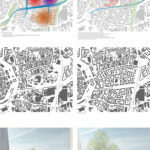 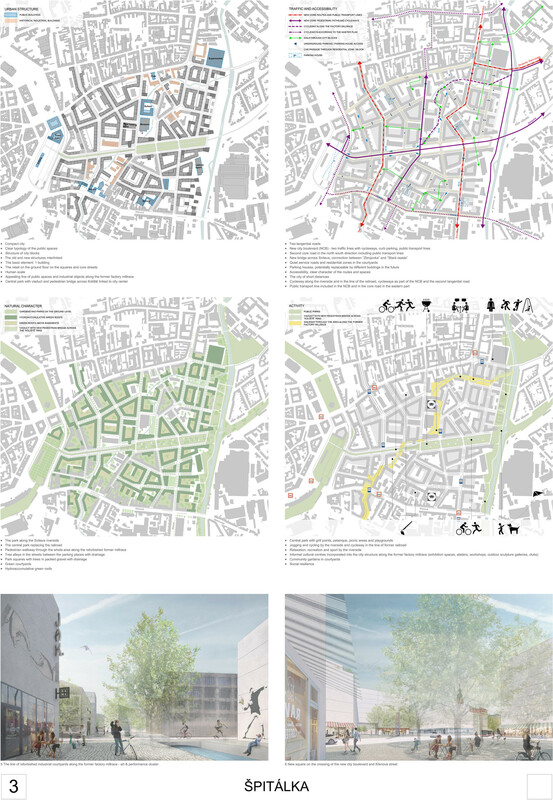 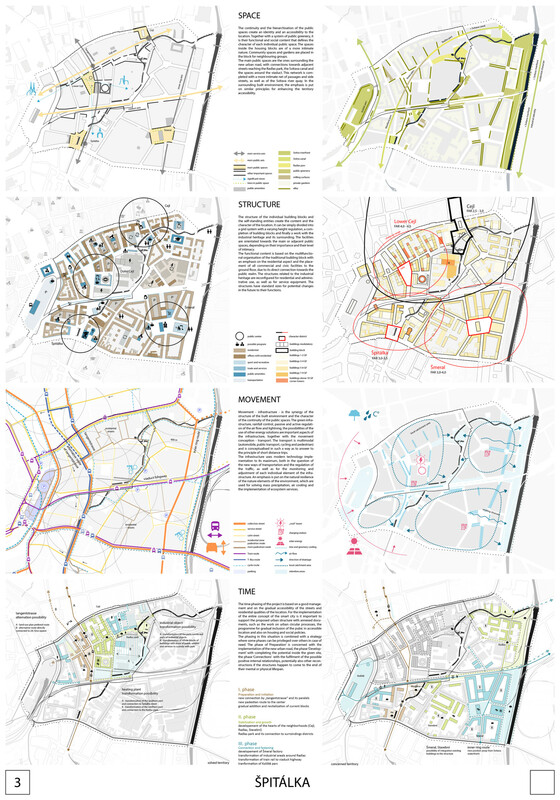 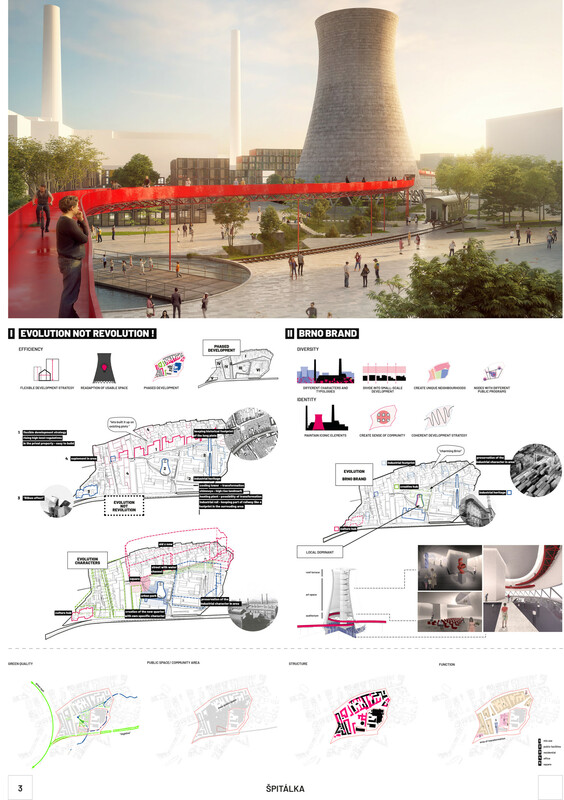 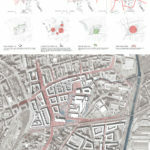 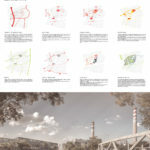 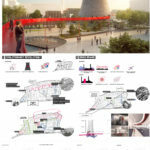 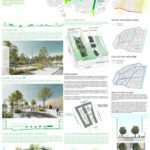 The proposals fulfilled the existing urban space requirements including living functions and complemented by more functions and areas needed in location context. 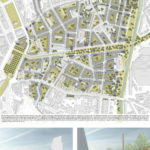 Due to the importance of this location the area of interest and the concerned were need to be solved as a whole with designed links between these areas. 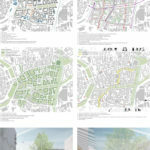 Results of the competition „Špitálka“ were approved by Brno City Council on meeting on 20th March 2019. 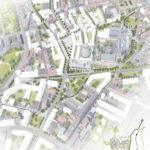 Development in such a large area near the historical city centre is a long-term process and should develop the area in succesive steps. 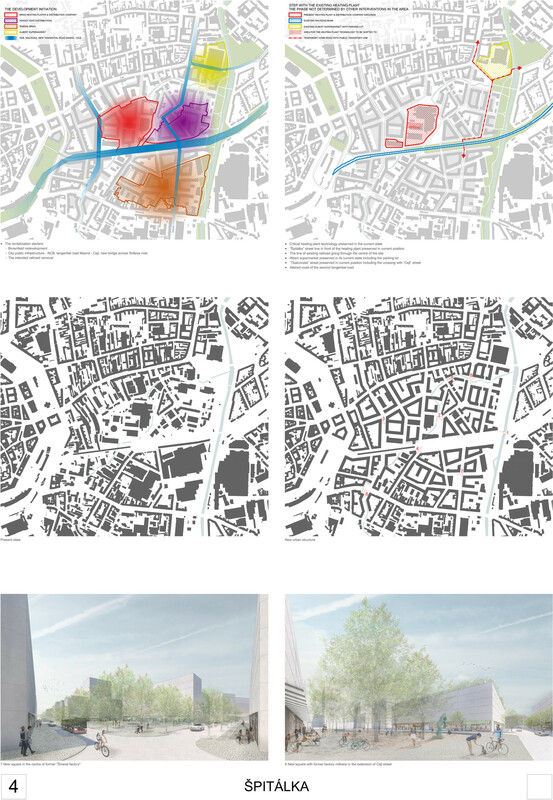 The proposal harmonically converges the diverse urbanism into an urban pattern that creates new local centres with their own identities. 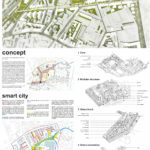 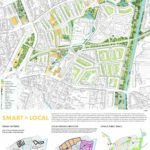 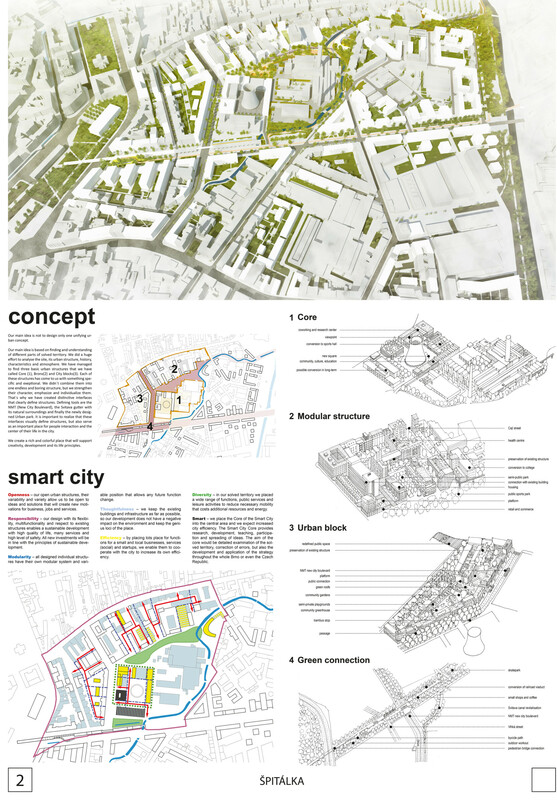 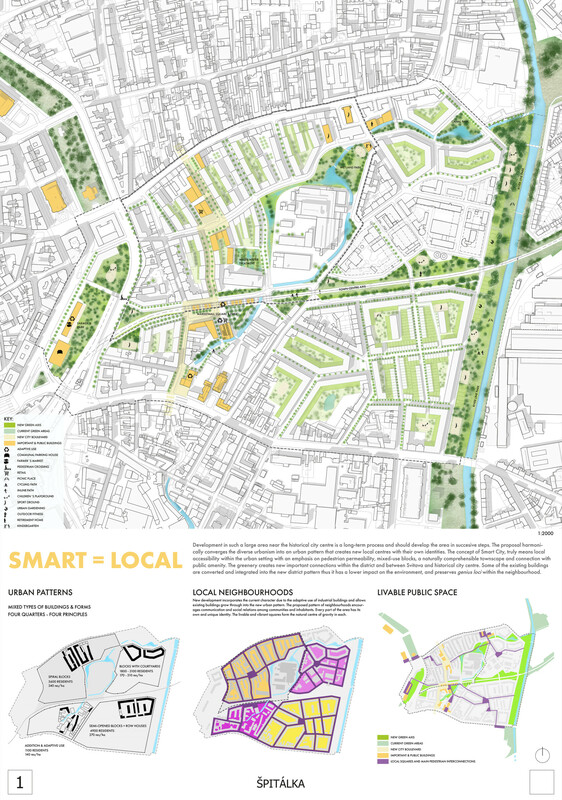 The concept of Smart City, truly means local accessibility within the urban setting with an emphasis on pedestrian permeability, mixed-use blocks, a naturally comprehensible townscape and connection with public amenity. 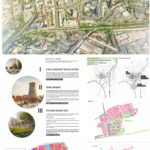 Účastník: Pelčák a partner architekti, s.r.o. 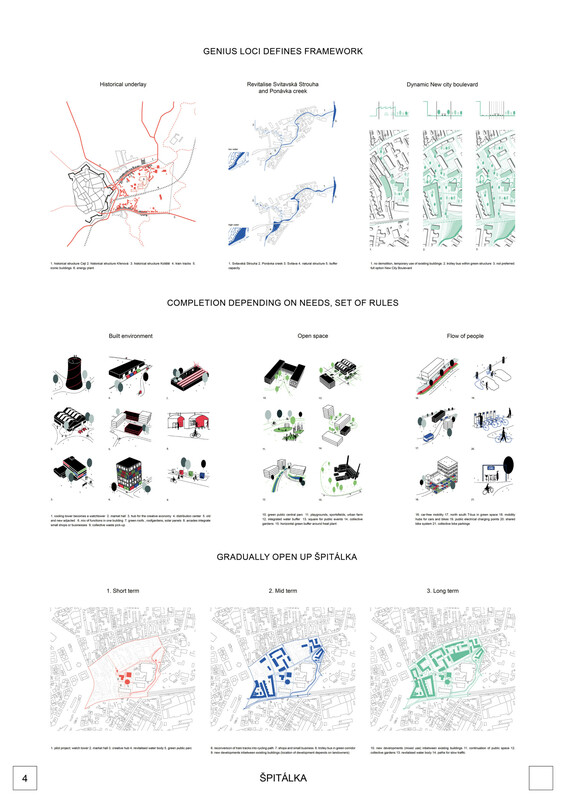 The city is the program. 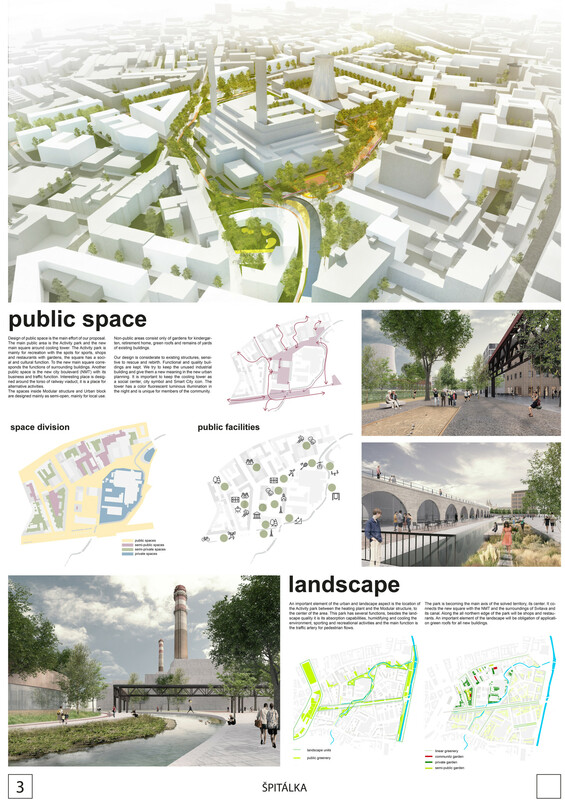 It means the determination of public spaces, their character, and quality. 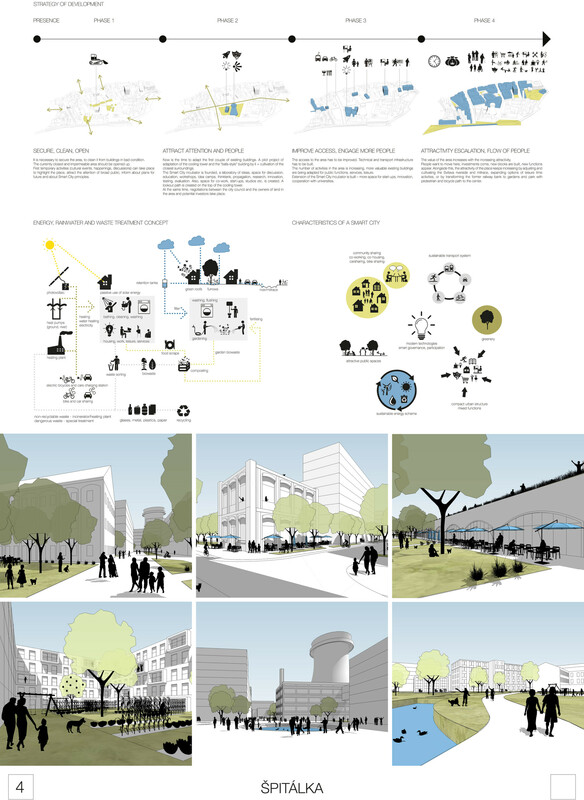 That defines the potential of the environment regarding habitation. 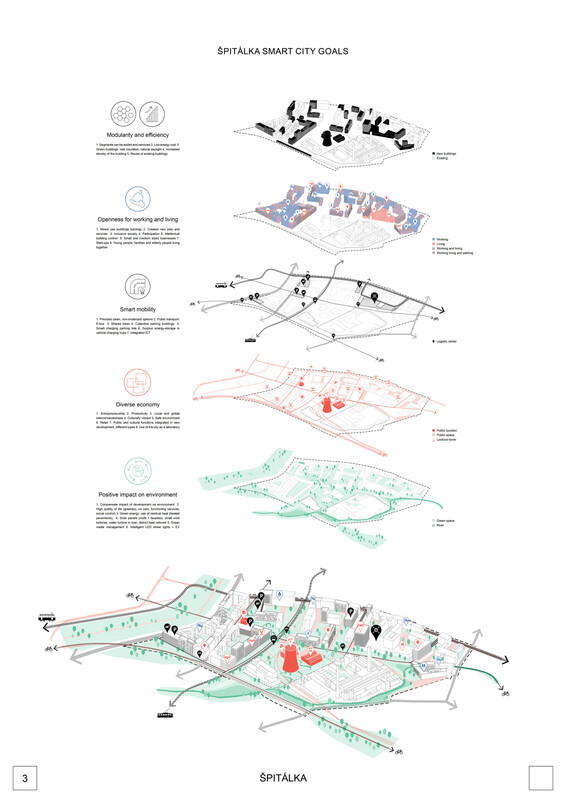 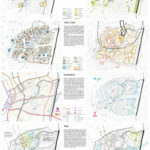 The strategy is simple: to work with the urban typology and comprehensible types of urban spaces. 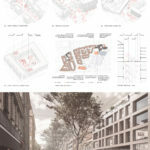 We link fragments of the buildings formed in the past in order to create the whole of the city district, which we then connect to the surrounding city by the streets already existing on the borderline of the territory. 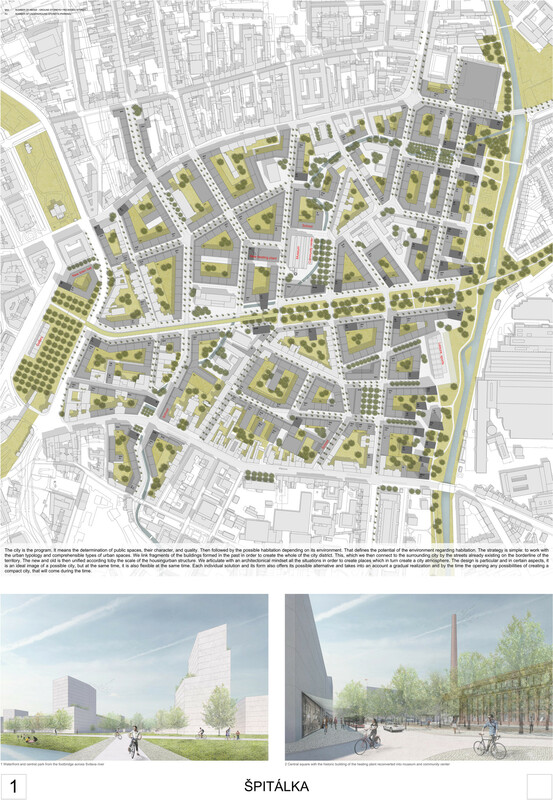 The new and old is then unified by the scale of the urban structure. 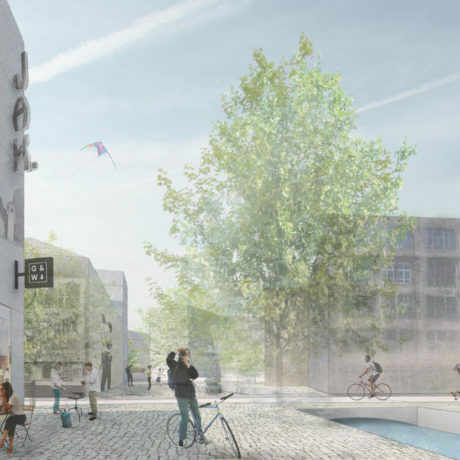 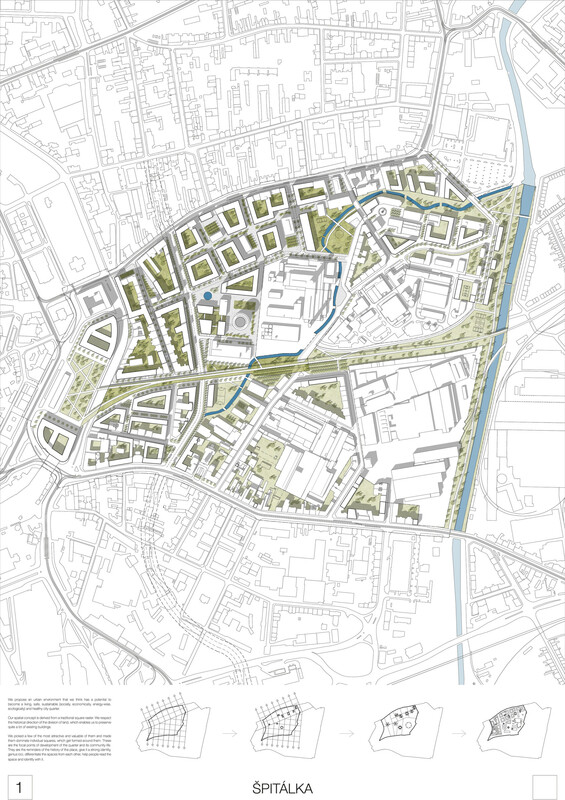 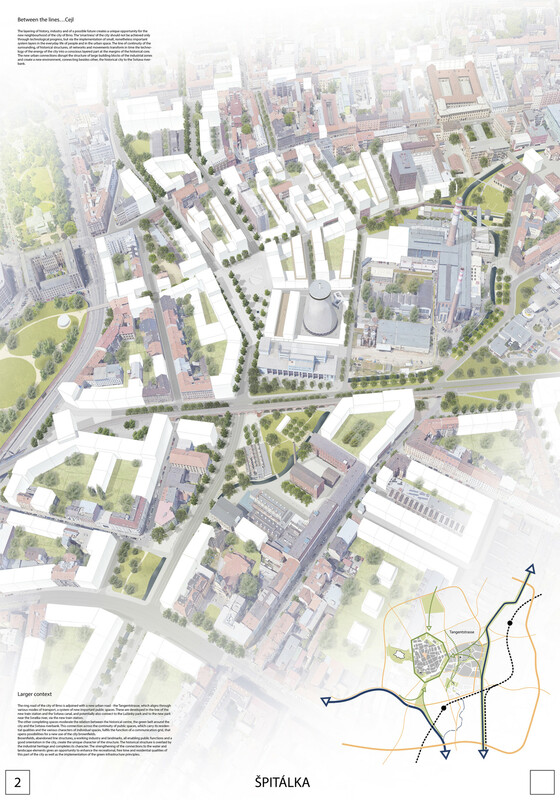 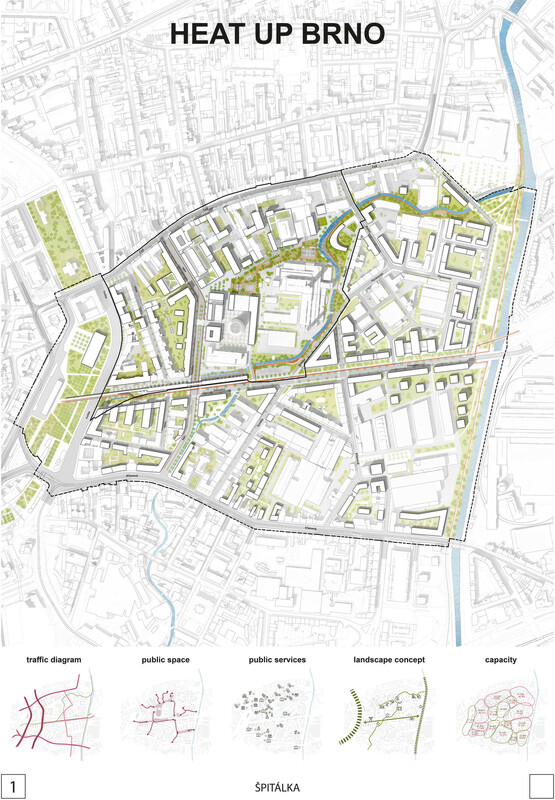 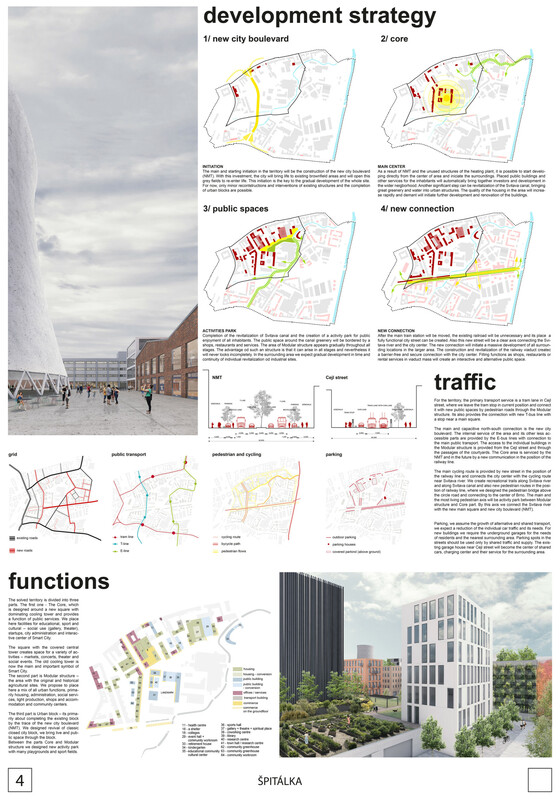 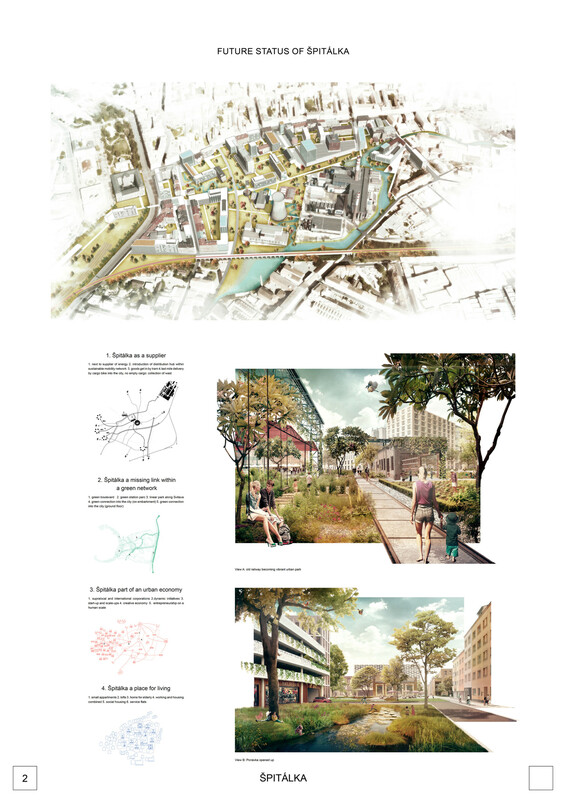 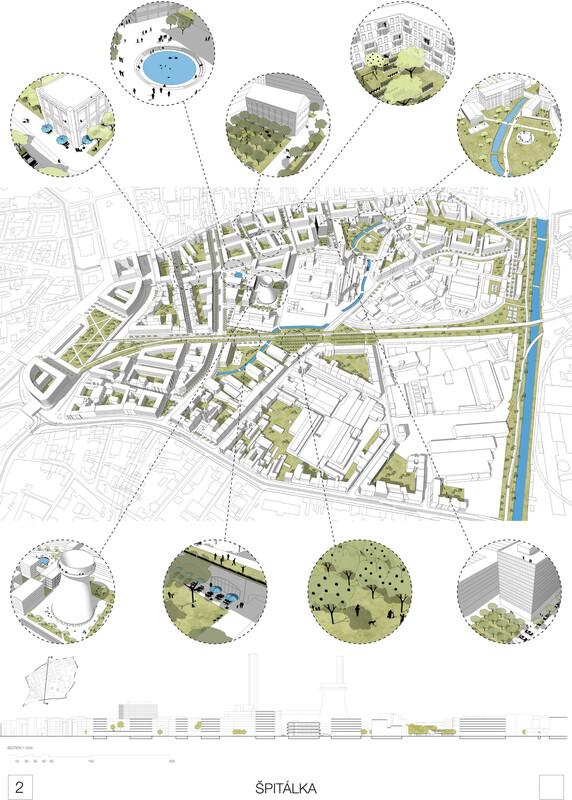 We propose an urban environment that we think has a potential to become a living, safe, sustainable (socially, economically, energy-wise, ecologically) and healthy city quarter. 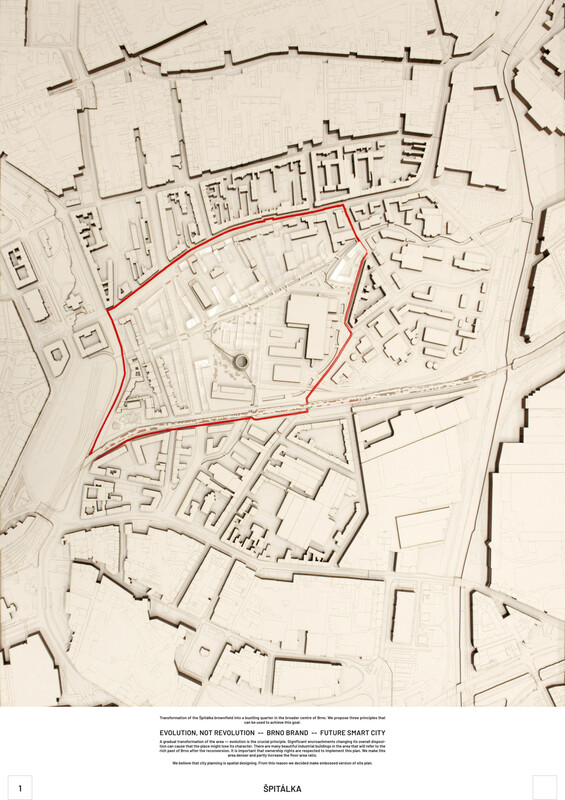 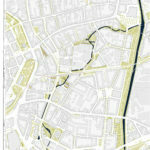 Our spatial concept is derived from a traditional square raster. 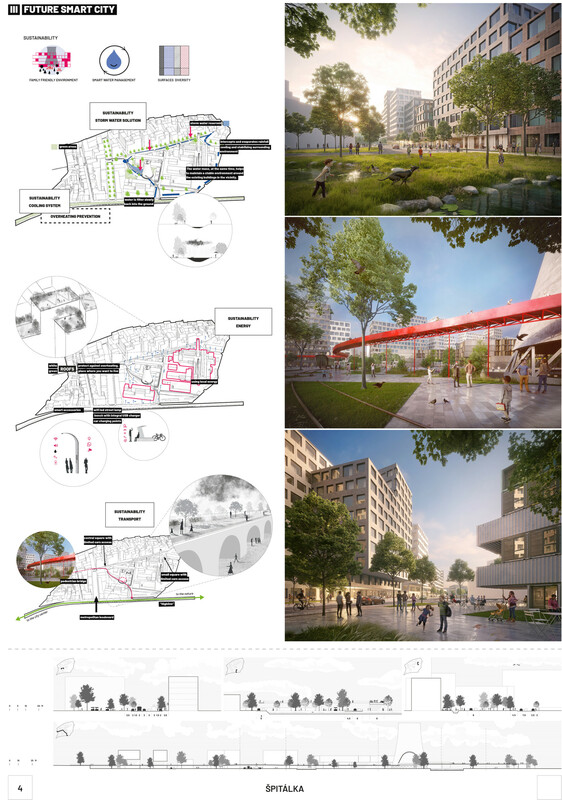 We respect the historical direction of the division of land, which enables us to preserve quite a lot of existing buildings. 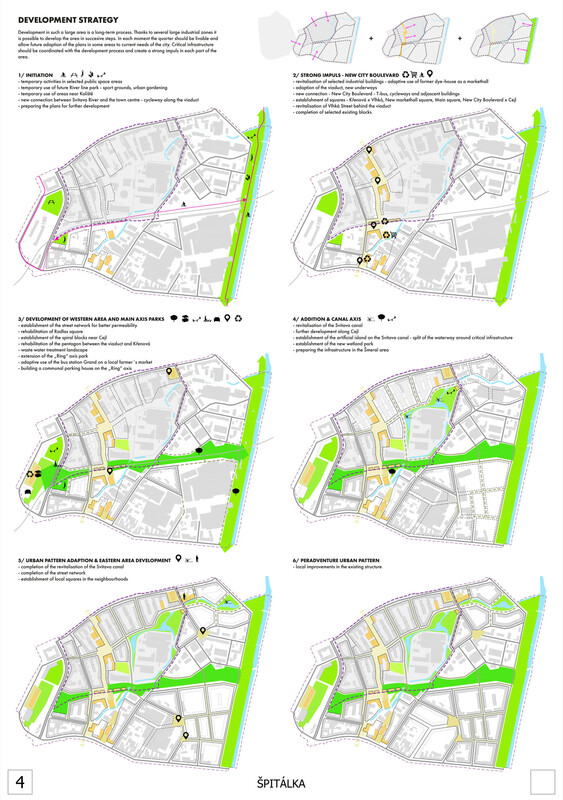 We picked a few of the most attractive and valuable of them and made them dominate individual squares, which get formed around them. 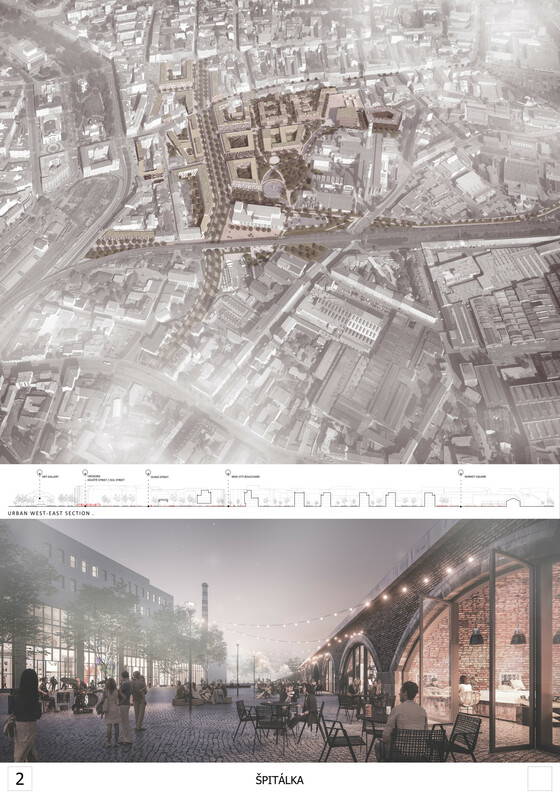 These are the focal points of development of the quarter and its community life.